With a population of just over 24,000 Ohio County is awash with beautiful landscapes and as a sign in one of the towns says thousands of happy people and a few soreheads. The county is named after the Ohio River, which originally formed its northern boundary. Music, festivals, antique shops and more await those who visit. 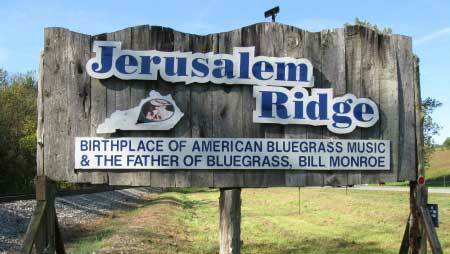 The Father of Bluegrass music, Bill Monroe was born in the small town of Rosine located in northern Ohio County. The county also is the home of Southern Gospel Music's The Crabb Family. It also has a Mandolin trail and a Barn Quilt Trail. Below is a list of organizations and places that may be of interest to you.